Has the password frequently changed. Cannot be used to login locally. First of all, changing the password on a normal service account requires someone to know the password. Furthermore, it requires a service restart to pick up the change. A standalone managed service account (sMSA) cannot be used across multiple devices. Additionally, they don’t have a single point of control for password management. Using a group managed service account (gMSA) can solve all of these issues. A gMSA is a sMSA that can be used across multiple devices, and where the Active Directory (AD) controls the password. PowerShell is used to configure a gMSA on the AD. The specific computers that it is allowed to be used on is configured using some more PowerShell commands. The AD will automatically update the password for the gMSA at the specified interval – without requiring a restart of the service! Because the AD automatically manages the password, nobody knows what the password is. Not all services support a gMSA – but SQL Server does. During a SQL Server installation you can specify the gMSA account. The SQL Server Configuration Manager (SSCM) tool can be used to change an existing SQL Server instance to use a gMSA. After entering the gMSA account you simply do not enter a password. The server automatically retrieves the password from the AD. As with almost all things, there is inevitably something that doesn’t work correctly. One thing that I found is that when the server is rebooted, the SQL Server services are not restarted. And I’m not the only person that has had this problem. After digging through the Windows event logs, we were able to figure out the issues. The service was not restarting because it was trying to do things before those services had been started. We were able to overcome this issue by creating service dependencies. A service dependency prevents the service (SQL Server) from starting up before other specified services are running. When the server is restarted, the SQL Server service will successfully start up. You can read more about creating a gMSA here. In retrospect, this makes sense. The gMSA needs the computer to retrieve the password from AD, so Netlogon would be necessary. gMSA uses Kerberos, and Kerberos requires computers to have their clocks in sync, which requires having W32Time. Since SQL knows that a gMSA is being used (when installing, or in SSCM), you would think that it would just make this registry entry for you. But alas, it doesn’t, so you must. I´ve noticed aswell the services wont startup sometimes and i added a delay of SQL services as a workaround but this is much better solution. Worked like a charm ! I’m glad that it worked for you. I hope that others find this post useful as well. Ahh, this is good. It is wise to avoid changing the registry directly whenever possible. Thanks! Thanks! I can see people trying to do this one service at a time. Here is another blog that is helpful too. Thanks for the tip, but I can’t get it to work. After adding the W32Time and Netlogon to the dependencies in the Registry Editor, I go the the MSSQLSERVER service properties and no dependencies are shown. The KEYISO is not there either. For context, I’m working in a virtual environment with one Domain Controller and two SQL Server member servers. I’ve successfully set up a gMSA, but SQL Server refuses to start automatically on startup on both of the members. The SQL Servers will work if I manually start them. Are you opening up Registry Editor in Administrator mode? Are you using an account that is in the local administrator’s group? No I wasn’t. I took both of those suggestions and it appears to be working now. Thanks for the reply and the tip! Wayne, what SQL Server version are you using? I am using an AWS SQL Server Std Edition on Windows Server 2016 Datacenter 10.0 x64 Build 14393 (Hypervisor). Also, I believe keyiso is only automatically added to DependsOn iff you use cryptography features like cryptographically signed certificates to protect things like data and code. I believe you should update your post to spell out these nuances. A gMSA can be used with SQL Server 2014+. 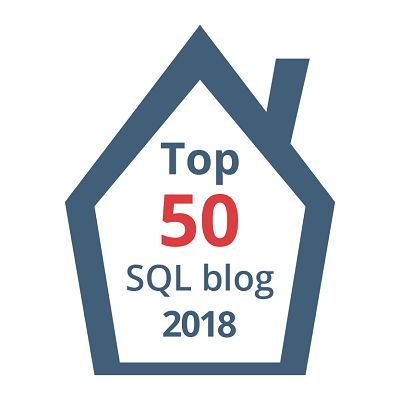 This article was based off of SQL Server 2016 and 2017. About KeyISO: SQL Server uses certificates, so it needs this service. In my experience, I’ve always seen KeyISO being a dependent service for SQL Server. #1 | Pinged by Dew Drop – February 20, 2018 (#2668) – Morning Dew about 1 year ago. #2 | Pinged by Using Group-Managed Service Accounts With SQL Server – Curated SQL about 1 year ago.